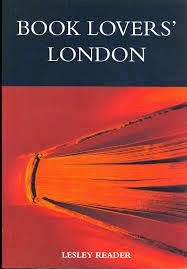 Although the edition I found at my local library's used bookstore is out of date, it was interesting to read through and see the variety of bookshops available in London in 1999. But it also makes me sad to know how many of these shops are no longer in business. I only hope that when I finally manage to make a trip to England the rest will still be going strong. I'll have to get the most up-to-date guidebook then.